jmtd → log → Delete! Delete! 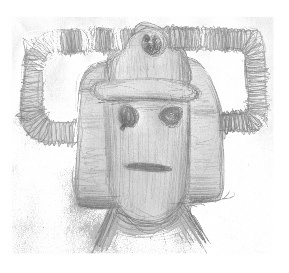 I prefer the classic Cybermen. The only mail-filing feature that is consistently available across all mail clients (web, mobile, desktop) and most often via a convenient button, keypress or gesture, is Delete. For a long time, I've had an email work-flow that involved archiving most mail: saving both sent and received mails to a series of folders, so I could refer back to them if necessary (and they turned up in search results). Lots of mail clients make this easy: Thunderbird supports defining an Archive folder and pressing 'a' when a mail is highlighted will move it into Archive/YYYY. Mutt, of course, can be configured to do almost anything, and I've had it set up to move mail into =archive when you hit 'a' for a long time. Sadly, other clients are not as friendly. Outlook doesn't support anything quite so convenient. Mobile clients on Android, iPhone etc. don't have easy archiving support. Neither do webmail clients like OWA. Increasingly, I check my work mail on the go: waiting for a lift, on the train to work, in a irrelevant part of a meeting, waiting for a coffee refill, etc. However, I can rarely file mail this way: I learn facts, I can react to things quickly, but I can't keep my inbox under control. For this reason I'm adjusting my workflow around 'Delete'. For work, I've set up an Exchange filter to automatically copy any message that lands in my Inbox into an Archive folder. This was surprisingly difficult to get right, and there are ongoing problems with conversation view and other things. However, once that is in place, I can merrily delete stuff from my Inbox with impunity, safe in the knowledge that I can still get stuff via search if needed. I'll need a separate process to further organise filtered mail, but that's fine. Launching mutt or Thunderbird specifically to shuffle mail into e.g. archive/2012 works for me. I still need to run my mail archiving script to extract attachments on occasion anyway. I used to do that, but it annoyed me a little that the metadata on whether I'd replied or not was missing in the archive copy. On the other hand, I guess that is kindof redundant since the reply should also be in the archive.